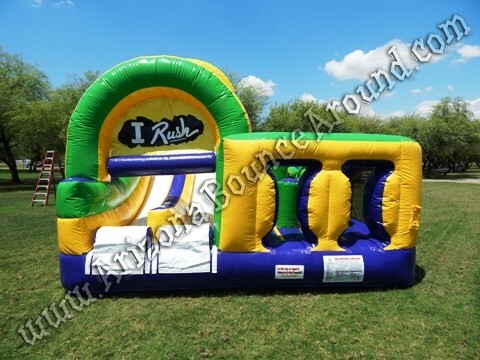 Our new Radical Obstacle Course features 60 feet of excitement in a compact package perfect for any type of party or event. 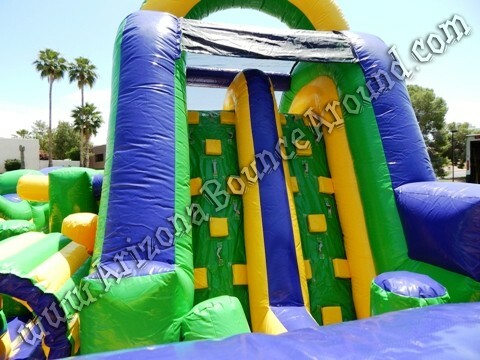 Since you enter and exit from the front it takes less space to operate and gives you the same thrill as a 60 foot obstacle course. 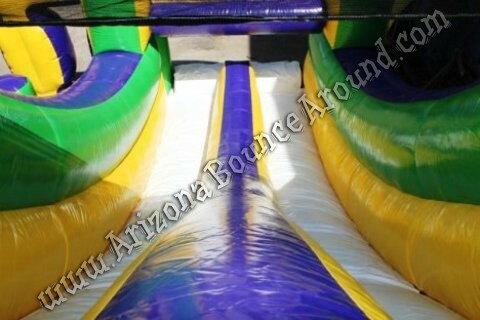 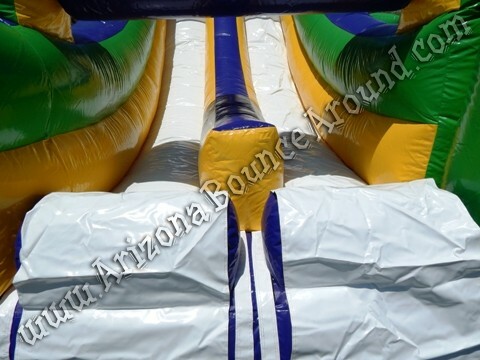 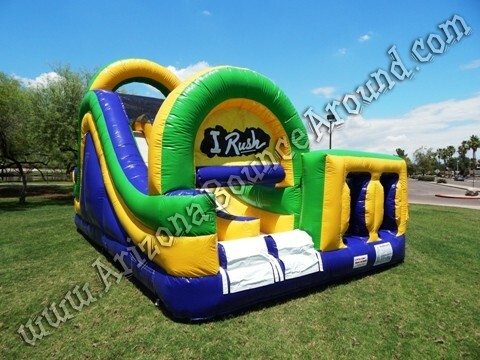 Two players start at the entrance and race thru the inflatable obstacles then mak a turn in the back then climb and slide down the 15' tall dual lane slide to the end. 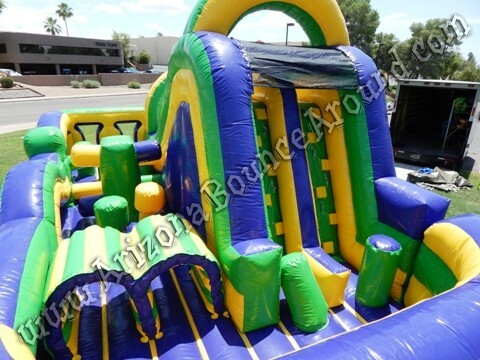 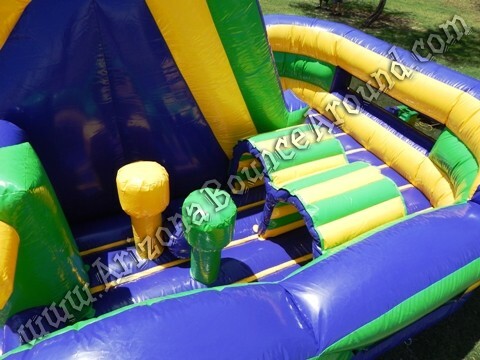 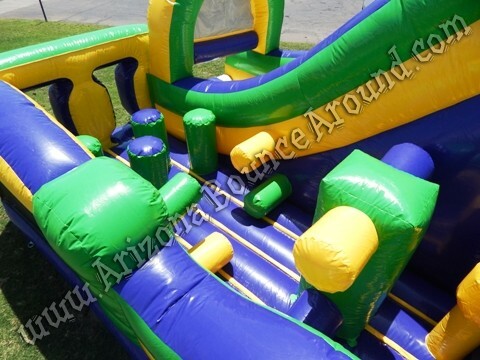 The colors are great on this obstacle course and will make a bold statement at any party or event so rent one today by calling 719-531-7510. 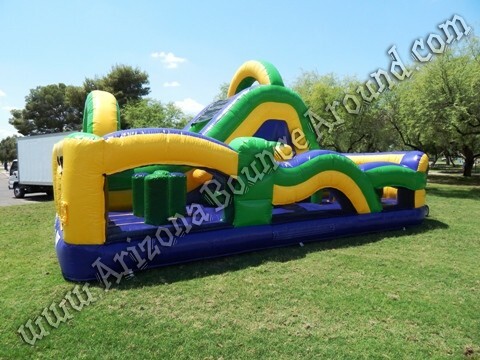 We have the best selection of obstacle courses in Colorado so be sure to check them out now. 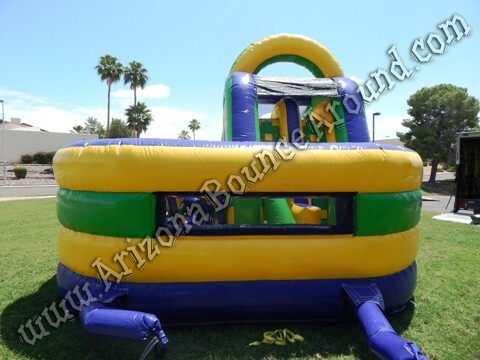 The back of the obstacle course is completly closed off making it easier to supervise and forces the players to complete the obstacle course race and not just keep going down the inflatable slide.